This bi-fold wallet has a dual personality. The exterior is crafted from traditional woven intrecciato, while the smooth leather interior features a zebra print. The animal motif lends an on-trend twist to an essential small leather good. 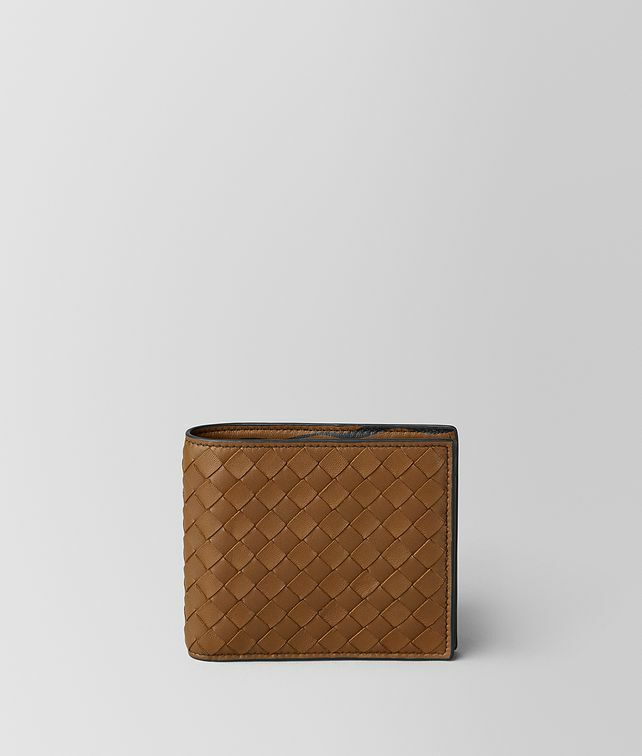 The style is fitted with eight credit card slots, four compartments for organising notes and receipts, and a snap-button coin section.